We walked around, SAW IVANA TRUMP strolling down a street (looking leathery and plastic-surgeried, but still amazing for her age), found a park with a beautiful view of the town, and had a picnic lunch underneath big trees. After lunch we went and sat at a café. The parents had coffee and I played sugar packet football with the kids. 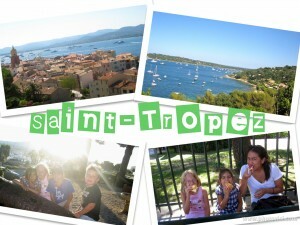 We were waiting for their friends (another family) to get to Saint-Tropez. Once Lara, Diego and their parents showed up we did some more window shopping and found a little trail to hike on! It said "INTERDIT AU PUBLIC" but… it was so obviously a worn trail (towards the middle of the hike, anyway) and if they really wanted to keep people out I feel like they wouldn't have made the entrance such an easy climb away from the main road… right? 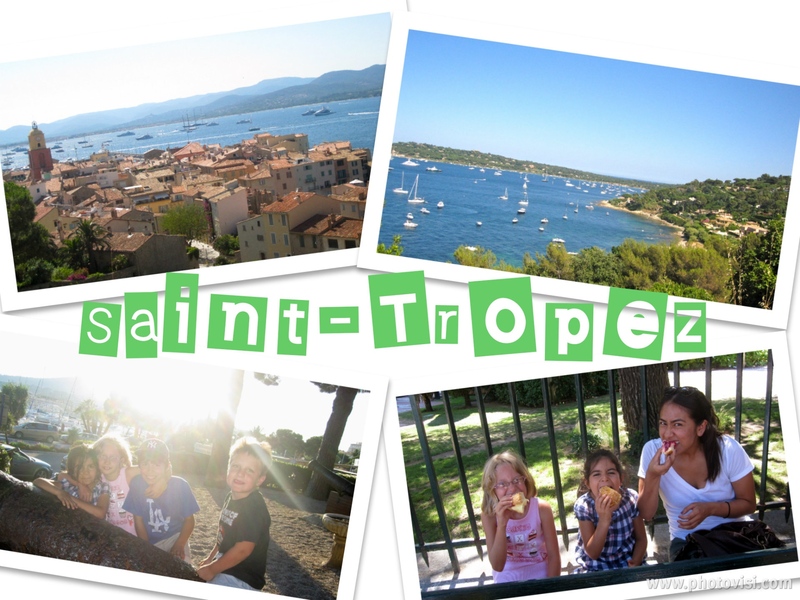 After the hike we made the trek back to the cars, said bye to Saint-Tropez, and headed to Saint-Maxime to get our beach on! Seriously, the south of France needs to stop being so outrageously gorgeous or else I'm never going to leave. We were on a teeny beach and the water was even MORE CLEAR than in Antibes. I went pretty far out and I could STILL see my toes – insane! Lots of swimming = lots of hungry, so it was time for dinner after the beach! Did the whole European 3-hour meal thing and then walked around the vendor fair in the streets of Saint Maxime after. Knocked OUT on the ride back, got home about 1:00am. Such an amazing day.